As of block 491,407 on the bitcoin blockchain, another alternative version of the protocol will be launched, resulting in a variant that’s being branded bitcoin gold (BTG). Readers may remember the term from the launch of bitcoin cash, the alternative version of the bitcoin protocol that spurred global headlines for unexpectedly creating billions of dollars in value, seemingly out of thin air. Looking ahead, many industry observers are expecting the same results this time around, though there may be reasons for enthusiasm to be tempered. Instead of scaling bitcoin to support more users, bitcoin gold tweaks bitcoin in an effort to “make bitcoin decentralized again.” This, proponents argue, will make the network, designed to offer an egalitarian way to send payments digitally around the globe, more accessible to users. And while created via the same mechanism, bitcoin gold differs from bitcoin cash in a few ways, most notably in its distribution. 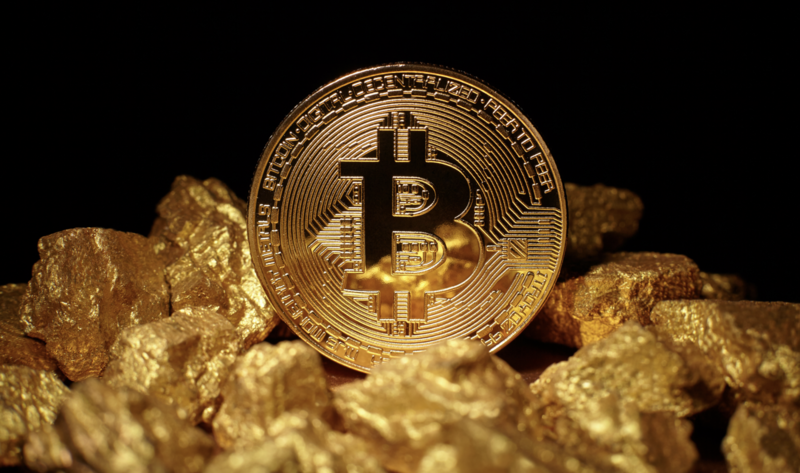 Of course, while it aims to become the de-facto version of bitcoin, others might consider bitcoin gold an “altcoin” – the term has long been used to denote any cryptocurrency launched using bitcoin’s existing code, but that has an alternative market or use case. All bitcoin owners will receive the cryptocurrency at a rate of 1 BTC to 1 BTG, setting the stage for possible market activity. But, that’s not to say it’s totally intuitive to retrieve. One quirk is that it’ll be easier to redeem the funds from wallets or exchanges that recognize the cryptocurrency. The easiest way, then, to retrieve the bitcoin gold is to move bitcoin to a wallet or exchange that supports bitcoin gold, or to hold bitcoin in a wallet where you own your private keys (rather than holding them with an exchange). To date, 20 exchanges and wallets promise to support bitcoin gold once it launches, according to the project’s website. Although one of the most popular U.S.-based exchanges, Coinbase stated on October 20 that it does not support bitcoin gold due to skepticism about how developers have made project information available to others. “At this time, Coinbase cannot support bitcoin gold because its developers have not made the code available to the public for review. This is a major security risk,” the post reads. This is perhaps something to keep an eye on as the project progresses. Although the project will officially fork on Monday night, it’s not yet open to anyone and everyone, and there’s still plenty left on the developers’ to-do list. The team behind the hard fork appears to be a relatively small group. Hong Kong-based LightningAsic CEO Jack Liao, who’s an outspoken critic of the state of bitcoin mining, first broached the idea of bitcoin gold back in July. His company LightningAsic sells mining equipment, including GPUs, the type of computing hardware bitcoin gold is supposed to rely on. Since first introduced earlier this summer, the team has expanded to include pseudonymous lead developer h4x3rotab, as well as a team of five other volunteers who are now working on developing and promoting the cryptocurrency in their spare time. The project can be tracked on Github and on the community Slack group. All that said, for those interested in exploring or using bitcoin gold, it’s worth noting that it has generated its share of controversy. Satoshi Labs CEO Marek Palatinus, who launched bitcoin’s first ever mining pool, is skeptical the project will actually work to decentralize mining as planned. And he’s not the only one to throw shade at the new project. Bitcoin developer Rhett Creighton is working on alternative bitcoin gold “protest fork” software that seeks to pursue the same idea but without setting aside some of the new cryptocurrency for development. If more than 51% of miners choose to use his software, the so-called pre-distribution to developers will be erased, he told CoinDesk. “It’s up to the miners to decide what they want,” he added. All in all, it’s unclear if business and mining groups will ultimately support the project, and if they do, how much value the alternative blockchain could create. For example, while a list of roughly 50 businesses and miners support the so-called Segwit2x fork, similar support hasn’t been seen for bitcoin gold. Likewise, though bitcoin cash began with support from vocal miners and exchanges, bitcoin gold has arguably yet to benefit from such early activity.